To make it even easier, you can @mention team members in your comments too. 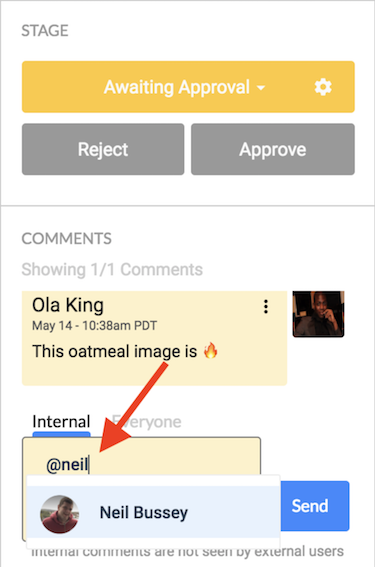 They’ll receive an in-app and email notification letting them know you've left a comment for them. Want to leave a comment for an external member? By default, comments are visible internally only. 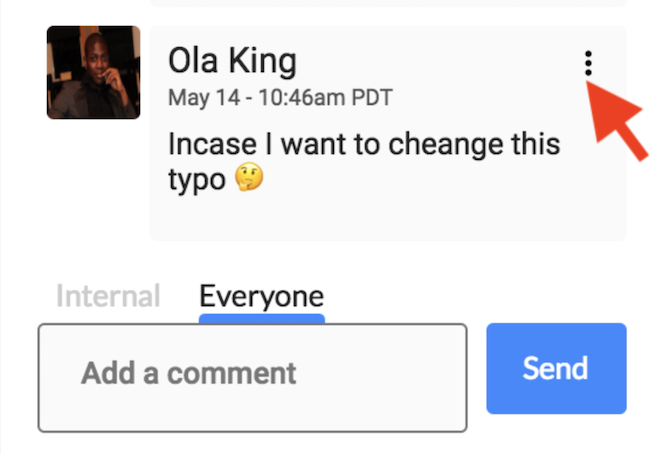 To leave a comment that your external members can see, click on the ‘Everyone’ tab before you begin writing.